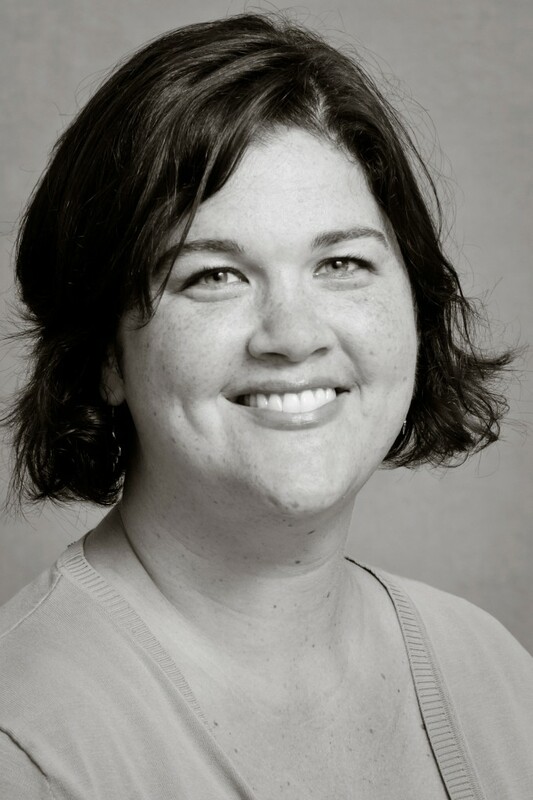 A former instructional coach and one of only five people selected nationwide as a 2012 recipient of the Horace Mann Award for Teaching Excellence, Jen Thomas is now President of the San Jose Teachers Association (SJTA). In this post, also destined for the next issue of the California Educator, Jen discusses the California Teachers Association’s (CTA’s) recent cover story about Teach For America (TFA) and the responsibility that comes with being part of a union. Like any president would be, I was delighted when I received the October edition of the California Educator and saw one of San Jose TA’s members smiling from the cover. Clinton Loo was not only a very talented math teacher, but a member of our local’s governing body: he spent the 2013-2014 school year as our Secretary-Treasurer. My excitement turned quickly to concern, though, when I saw the title of the article in which Clinton was featured: “Teach for America: Do-gooders or school Rhee-formers?” My concern was the rhetorical choice this framing implied. My colleagues and friends from TFA are either “do-gooders” with the saccharine naiveté that implies, or agents of Michelle Rhee and her intolerable demagoguery. 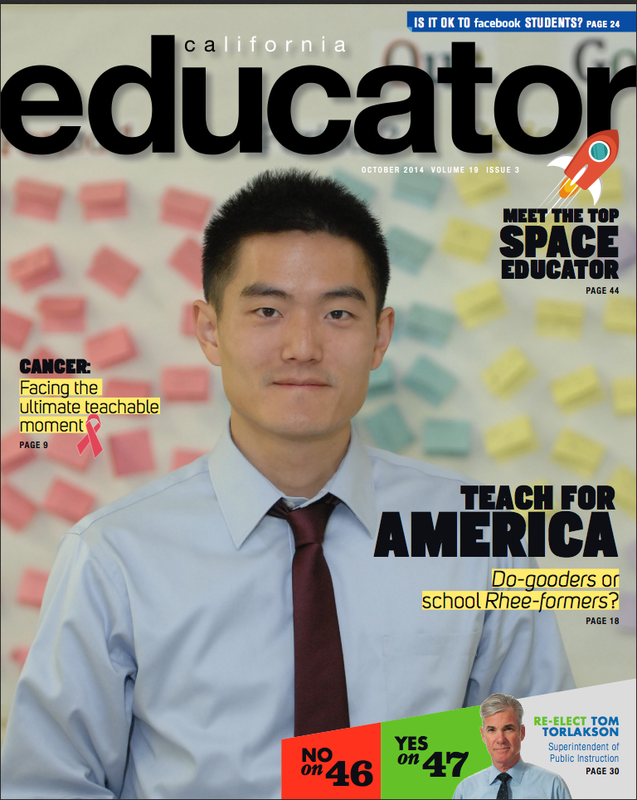 The October issue of California Educator, featuring TFA alum and former SJTA Secretary-Treasurer Clinton Loo on the cover. As CTA, this article highlights two serious problems: inadvertently undermining our union brothers and sisters who came to us from the TFA program, and not resolving the problems generated by the organization. 1) CTA members who come from Teach for America should feel that they are as valued and supported as any other teacher entering the classroom. First and foremost, a teacher is our colleague. We must be united in support of one another, and that starts with being extremely careful with how we frame important questions about the changing political landscape in our profession when these questions can lead to division in our ranks. 2) What are we doing about these issues and are they unique to Teach for America members? High TFA turnover is an issue, but about 50% of all teachers leave in their first five years, driven out by workload, wage stagnation, and the abject failure of our society to prioritize education. Many TFA corps members stay in San Jose for long past their two-year mandate and often they leave for the same reason any teacher leaves: The job is entirely unsustainable. Our compassion for that should be where we anchor this conversation. No, five weeks training is not enough time to make a quality educator. We’ve also seen teacher training programs of a year or even two years that do not produce teachers ready to face the real strains and struggles of the classroom. Poor preparation puts a terrible burden on our system; what are we going to do about it? That TFA members don’t become actively involved in the union because they see themselves as education transients is a broad statement and contradicted by our experience in San Jose. Perhaps we are unique, but TFA corps members and alumni don’t deserve to all be painted with the same brush. Where’s our plan to be as strong as Leadership for Educational Equity? Let’s build on our political strength and create a powerful support and training program to elect public officials from the teaching ranks. Issues of training, policy, and politics; issues of values, arrogance, and teaching as a hobby – all of these are valid and worth a discussion aimed at remedy rather than rhetoric. In the meantime, every CTA member past and present – regardless of how they came to the classroom – should believe that we are united together in support of the work we do for our students, our colleagues, our communities, and our futures. That’s what it means to be a union.